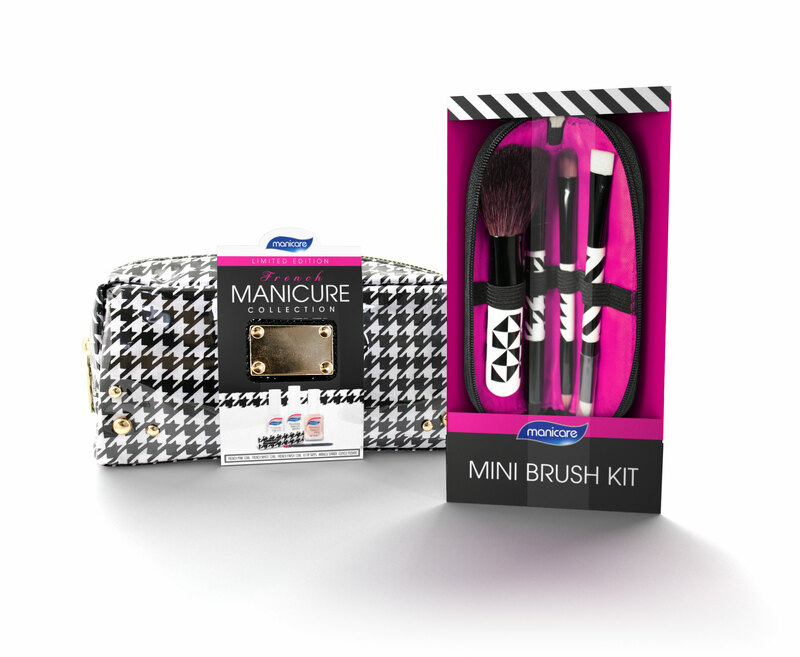 These design/fashion trend inspired gift packs are created to add a little bit of luxury and style to the Manicare offering. Tweak designed label shapes and packaging to further enhance the products on offer. A triangular prism box was created to display the mini brush kit in an open position. The box shape adds interest on shelf whilst showing the function of the product. The die cut printed wrap around the travel bag showcases the bag’s overall pattern while highlighting the gold buckle.